Super Savings Item! 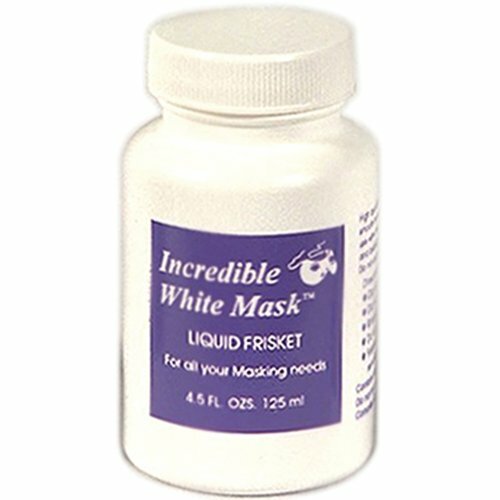 Save 31% on the Grafix 4-1/2-Ounce Incredible White Mask Liquid Frisket (WM4) by Grafix at Vains Faktory. MPN: WM4. Hurry! Limited time offer. Offer valid only while supplies last. A high quality latex that assures an easily removable mask. Non-staining and quick drying, white mask can be sprayed without having to be diluted. A high quality latex that assures an easily removable mask. Non-staining and quick drying, white mask can be sprayed without having to be diluted. For use with all artist papers, board, wood, leather, glass and ceramics. This package contains one 125-milliliter bottle. Made in USA. If you have any questions about this product by Grafix, contact us by completing and submitting the form below. If you are looking for a specif part number, please include it with your message.